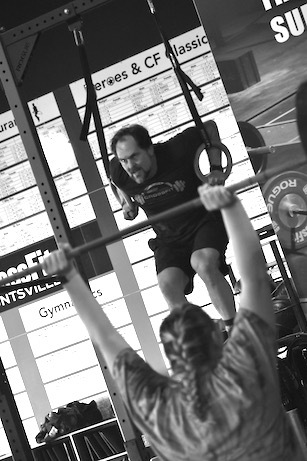 The CrossFit OPEN starts Thursday, February 21st! 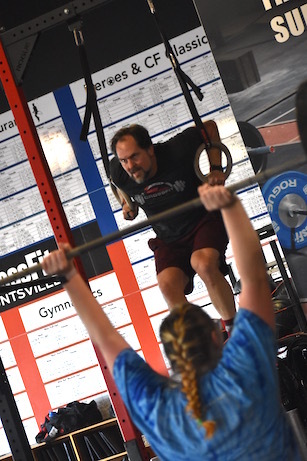 Click here to get signed up today and choose CrossFit Huntsville as your affiliate! You are witnessing bills being paid from a Lincoln Countian. That dude puts in work every day. Keep it up Matt! There he is in action with an example of what hard work can achieve. 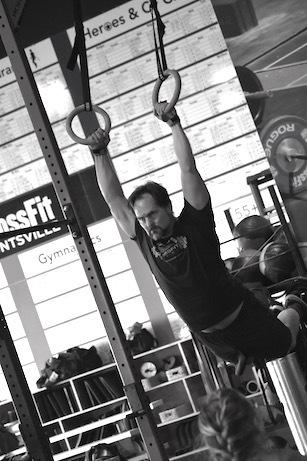 Matt is one of the most dedicated athletes in our gym. He leads by example and always encourages everyone else without fail. He is a pillar of the lunchtime crew and his quiet and humble presence is something that makes a difference to those around him. One of the most inspirational athletes of Crossfit Huntsville! Always paying the bills working meticulously to nail down the toughest gymnastic movements and of course, lifting heavy! “There is no exercise better for the heart, than reaching down and lifting people up “. This is what my friend Matt Miller does every single day. Matt, you are an inspiration to us all!! Love ya brother!! My man Matt doing big things in and out of the gym. He’s always pushed himself to reach further in the gym and life. Matt’s a great athlete and person and his family has made CFHSV a better place. Bad to the bone not only at the gym but outside gym too! Awesome pictures, Matt!! Matt Miller- Wisdom in motion and an inspiration to all of us. Routinely, blows the bearings out. Definitely Bad to the Bone!! Matt Miller is good people!! Appreciate his work ethic and always … always willing to encourage and help others reach their goals. Keep killing it, Matt!! I am amazed at Matt’s work ethic and his fitness results, but more than anything, that he has stayed completely humble through it all. The CFHSV community is better with the Millers being a part of it. Thanks for the encouragement through the years, Matt. Keep doing what you do! Those words come to mind when I think about Matt. Way to be BAD to the BONE! They don’t come any better than #ttpb. He has helped me tremendously. Have a great day Matt. I love when I get to see Matt! He always has something good to say, works hard in and out of the gym, and maintains a great sense of humor. 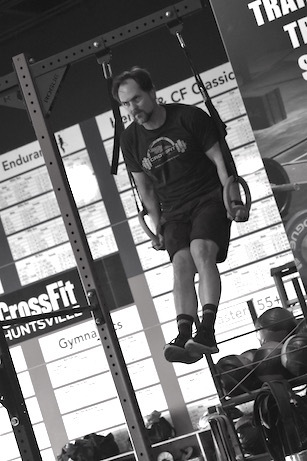 Impressive pics of you swinging from the rings! Keep it up my friend! A. 305 Deadlifts unbroken throughout and Ring MUs unbroken through the 5s. I got the 6 next minute but not unbroken. Then 4 for the set of 7. And then only 3s for the sets of 8, 9, and 10. That was mean, hard, and a beat down. I bout died but glad I did it. It’s obvious that the lights never go out in Matt’s house! Keep paying the man! – My man Matt!! Looking BA as always!! 205#/BMU till the round of 6 then played around trying to figure of butterfly C2B. Hard work pays off and Matt is a perfect example of that. Keep it up Matt!